Battlefield 1 Review: the Dawn of Modern Warfare? 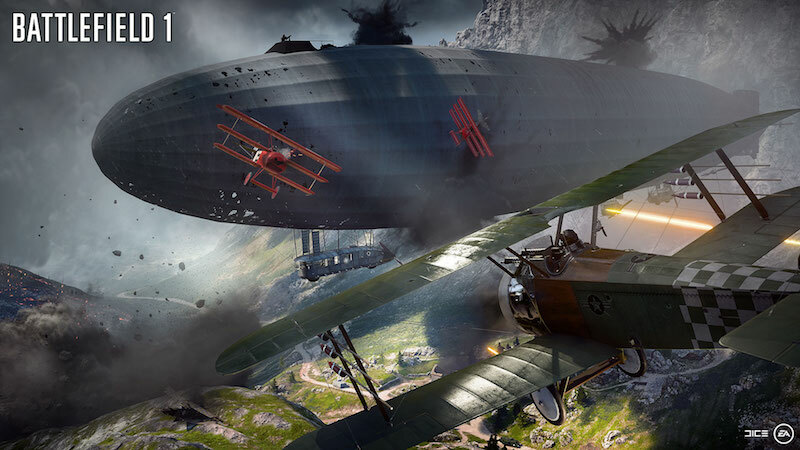 An amusing fact about Battlefield 1’s inception lies in EA’s initial disbelief in the premise that a World War I game could be relevant. Nonetheless, thanks to the insistence of its developer Dice and a reveal trailer that won near universal acclaim, peppered with the odd leak or two in between, seems to have proven the publisher wrong. Well, at least initially, with a jittery multiplayer beta later putting EA on the back foot. Does the final release deliver on the hype or is it destined to join the AAA graveyard? Read our Battlefield 1 review to find out. The first thing that hits you is how good Battlefield 1 looks. Regardless of your console of choice (or a PC, if that’s your scene) you’re treated to fantastic visuals that rival anything we’ve seen recently, which is no mean feat considering this year has seen Forza Horizon 3 and Gears of War 4 oozing eye candy. While the aforementioned games bring something different to the table thanks to their unique art styles, Battlefield 1 throws out all the stops to merge gritty photorealistic environments with stellar weather effects. The grandeur isn’t restricted to looks. Much like Star Wars Battlefront, it sports excellent sound design. Be it the rattling fire of a machine gun or the ominous creaking of a tank in your vicinity, Battlefield 1 does a great job of putting a sense of urgency to the game. Speaking of urgency, it’s a term that applies to the single-player campaign as well. Taking place across several theatres of war, you’ll take to desert lands, foggy forests, and even snow-capped mountains. Rather than tying you to a single story, each of Battlefield 1’s missions have different protagonists. 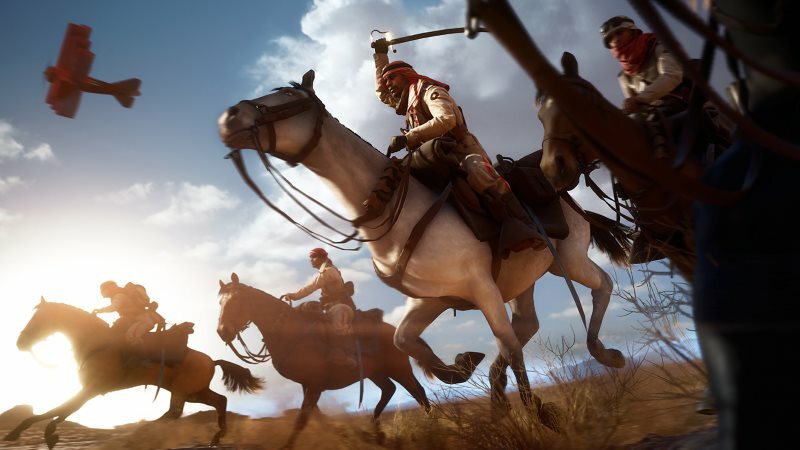 Instead of hyping up the enemy like other war shooters, Battlefield 1 prefers to shift the focus on humanising conflict by shedding light on its heroes – be it man, woman, or pigeon (yes, you even play as a carrier pigeon) – who face seemingly insurmountable odds. Borrowing stealth elements from Battlefield Hardline and sporting levels that seem well thought out, Battlefield 1’s a solid effort that clocks in around six hours depending on the difficulty level you choose. With pressure on either side to up the ante – the last round’s victor has to contend with reinforced opponents, who have to prevent all out defeat – what you get is a relentless back and forth between teams, making it a tense, yet completely compelling experience. While it’s yet to be to seen how the game’s netcode plays up when subject to a larger audience, there’s very little amiss with the multiplayer mode we experienced, which has responsive controls and a host of customisation options. Old-timers will notice the series’ signature pace of play that hasn’t diminished too much, while newcomers won’t take long to get up to speed. Suffice to say, it’s accessible enough without being pandering. And even when you are losing, the sheer chaos, great gunplay, and superlative production values do a fair bit to have you coming back for more. Of course, it’s layered with the usual accoutrements of many multiplayer games, including a wealth of unlockables and a progression system to give you something to play for. We played a retail copy of Battlefield 1 on the PS4 and Xbox One. The game will be available from October 21 on the PC, PS4, and Xbox One from Rs. 3,499, Rs. 3,375, and Rs. 3,500 onwards.